In a surprising move, Samsung has finally started rolling out Android 7.0 Nougat update for the Galaxy S6 and Galaxy S6 edge. Earlier, Samsung UK took to Twitter for announcing a delay in the roll out, but a report by SamMobile suggests otherwise. 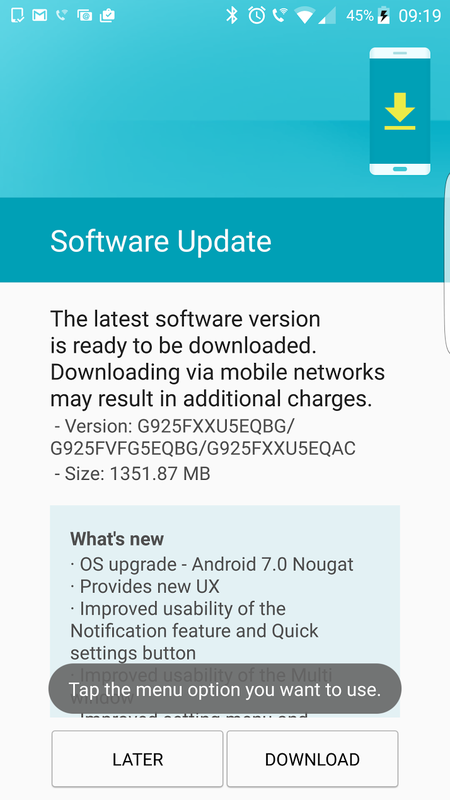 Apparently, a few network-bound Samsung Galaxy S6 and Galaxy S6 edge units in Europe (UK, Germany, Italy, and Switzerland) are receiving the Nougat update. However, the superior Galaxy S6 Edge+ units seem to be out of luck as none of its units has got the taste of Nougat yet. Neither Samsung mentioned the device’s name in the list of upcoming OTA updates. The Galaxy S6 and Galaxy S6 edge units were launched in the European markets in the year 2015 with 3GB of RAM (5.1-inch display). According to the screenshots shared by SamMobile, the Nougat update brings firmware version G925FXXU5EQBG. The roll out initiation in the select European regions means that Samsung could soon extend the update for other regions. But it could take time for weeks or months. It also looks like that the “quality” issues reported by Samsung UK for delaying the update were not significant enough to hold back the update for a longer period. Samsung seems to have fixed the issues and has finally commenced the update, starting with Europe. We also expect Samsung to roll out the update to the Galaxy S6 Edge+ and Note 5 units as well. The Nougat update for the Galaxy S6 and Galaxy S6 edge weighs 1.3GB. 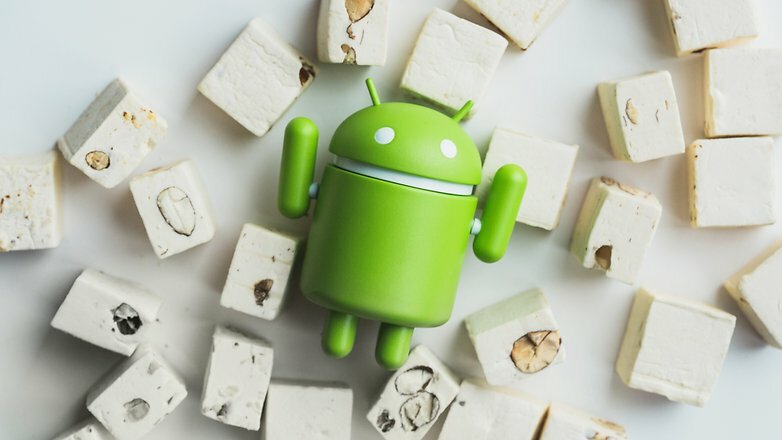 The update entails regular Nougat features onboard, such as – Multi-window support, Improved battery, Samsung Pass, Samsung Cloud support, Enhanced UI, Quick panel and notifications, and much more. The inclusion of Samsung Cloud means that users will now be able to sync data from their native apps to Samsung’s cloud storage. Samsung has not yet revealed the timeline for Nougat update roll out in other regions, but we can expect the process to start soon. Also, carrier-bound units could take more time in pushing out the update in comparison to the unlocked variants. Stay tuned with us for more information on the Nougat rollout for Samsung Galaxy S6 and Galaxy S6 edge in other regions.